Michael D. Foster is Of Counsel in the Banking, Coal, and Energy industry group, focusing primarily on tax issues. He practices out of the Firm’s office in Charleston, West Virginia. Michael has worked for many years on employee benefits issues, co-founding and leading the Firm’s internal employee benefits group since 1989. 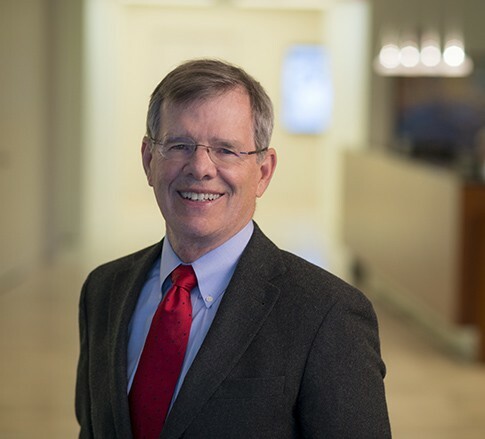 Michael has been with Jackson Kelly for almost four decades, working to deliver the best in administrative and consulting services in the area of qualified plans. He provides administrative services to more than 200 defined contribution plans and provides legal services to clients of the Firm. Michael specializes in crafting qualified plans for owner-employees, coming up with inventive solutions to his clients’ problems. He also advises clients with regard to fiduciary duties under employee benefits law (ERISA). Michael is actively involved in the non-qualified plan arena and has significant experience in deferred compensation plans for not-for-profit organizations. Michael served as the Firm’s Managing Member from 2007 to 2014, as Assistant Managing Member from 2002 to 2007, and as a member of the Firm’s Executive Committee for two separate terms. He’s been listed in Woodward/White The Best Lawyers in America® for more than two decades. An outdoorsman by nature, Michael spends his free time participating in a wide range of outdoor activities, including hiking, biking, skiing, and playing golf.